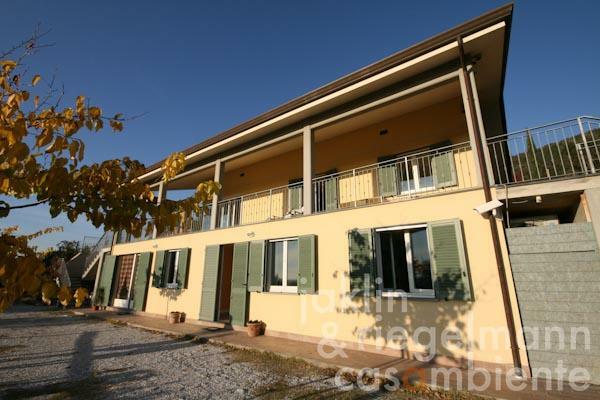 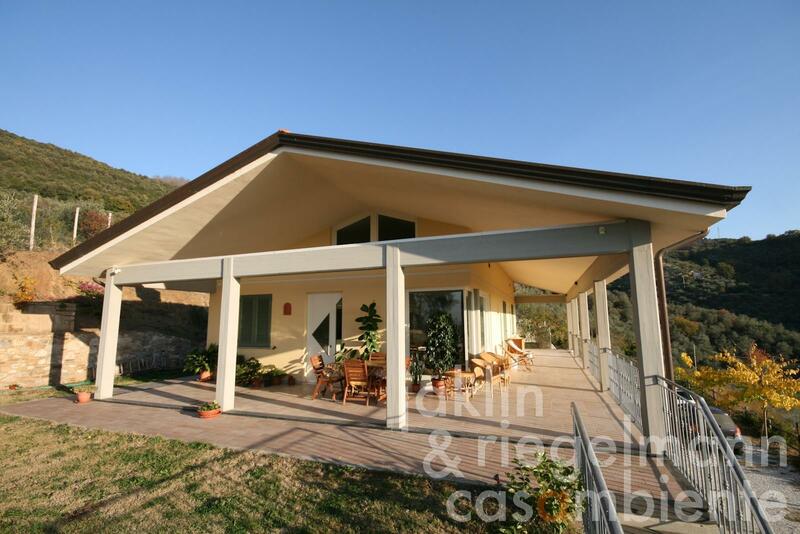 Modern villa for sale close to Lago di Massaciuccoli, Lucca and Pisa in Tuscany. 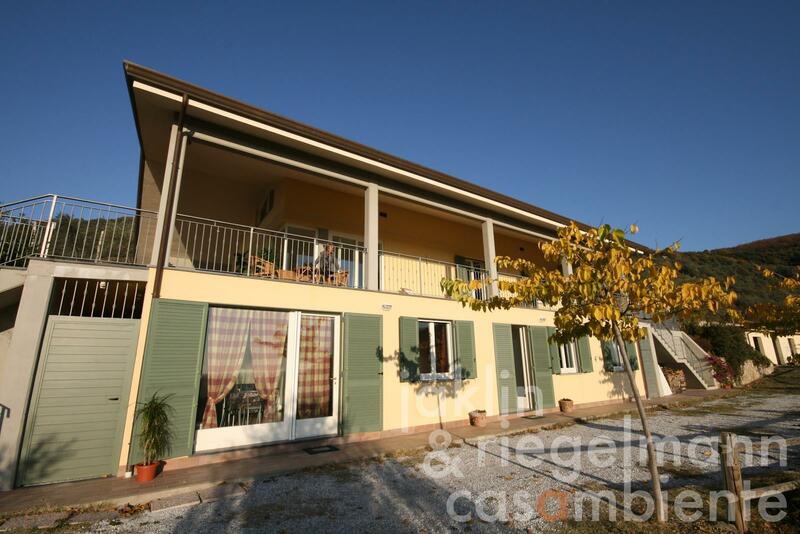 The villa was completed in 2007 and offers wonderful panoramic views across Lago di Massaciuccoli and the distant sea. 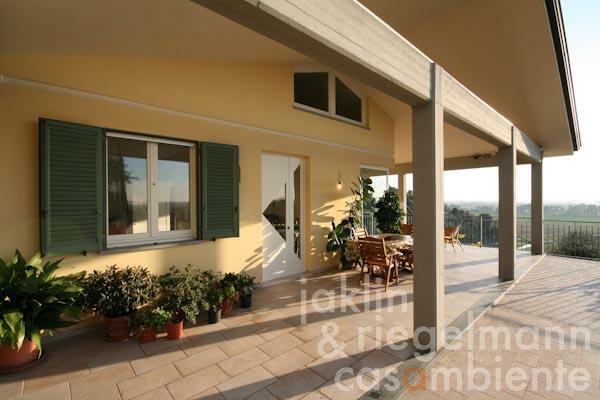 The property for sale comprises the villa with two floors, a guest house as well as a large and fully fenced garden with pool. The villa is divided into three apartments, which can be simply re-united by opening doors. 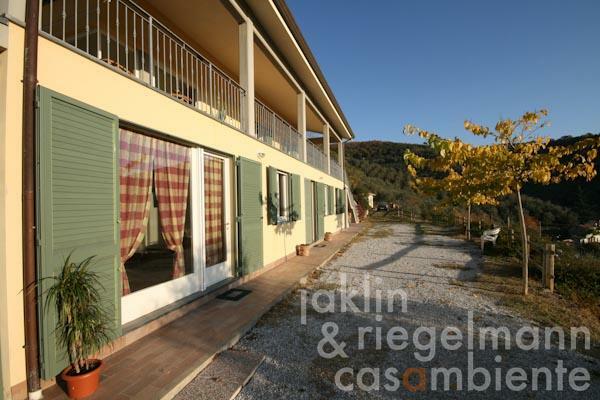 The ground floor offers the first apartment with large eat-in kitchen with beautiful oven, generous entrée and hallway, bedroom with en-suite bathroom, double bedroom, bathroom with laundry, insulation corridor around three sides of the villa and a utility room. The second apartment on the ground floor features an eat-in kitchen, double bedroom and a bathroom. 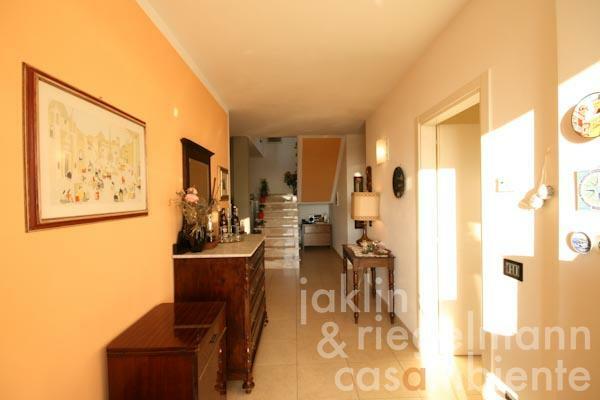 The third apartment on the first floor with generous loggia (approx. 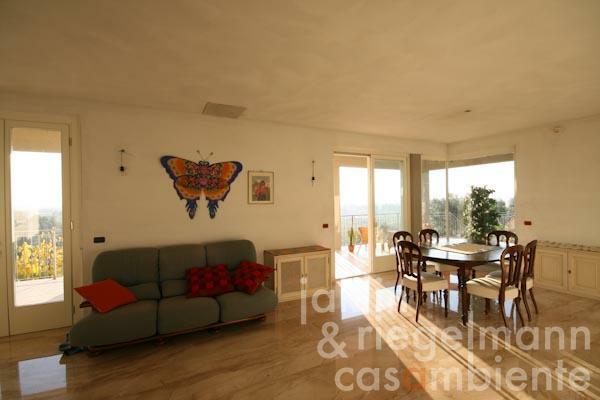 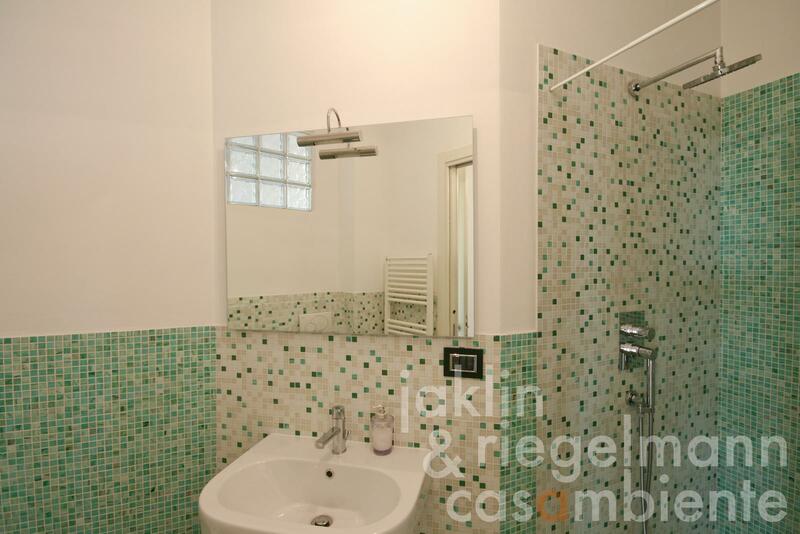 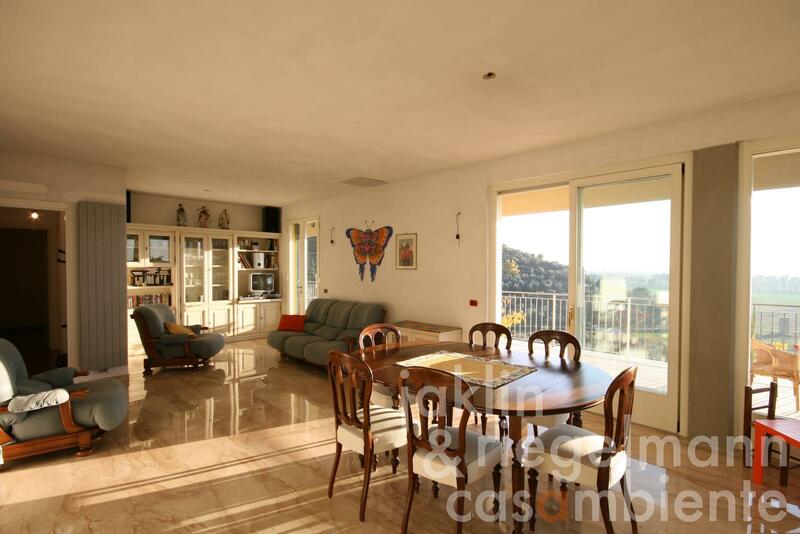 60 m²) has a well-lit living room with panoramic views, kitchen, two bedrooms and a bathroom. 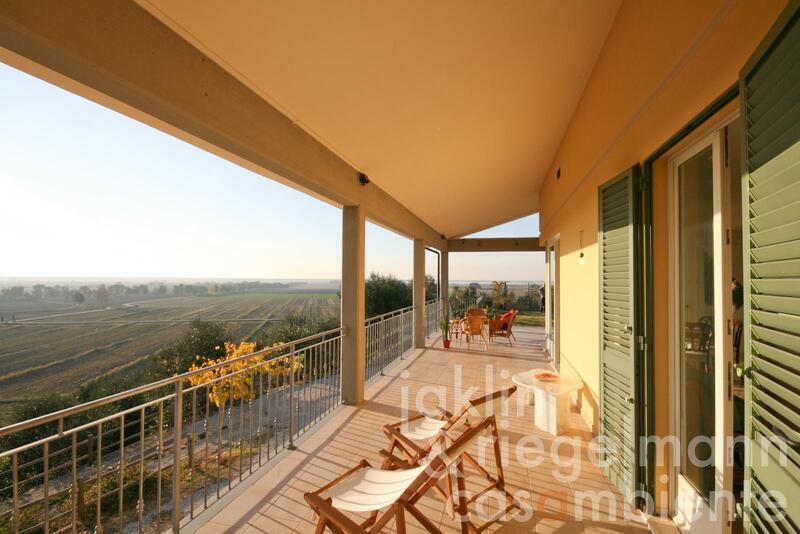 The loggia offers panoramic views across the hills around Lago di Massaciuccoli, Torre del Lago and the sea. The annexe is situated a few meters away from the villa and contains a fourth apartment finished 2014 and a storage room. 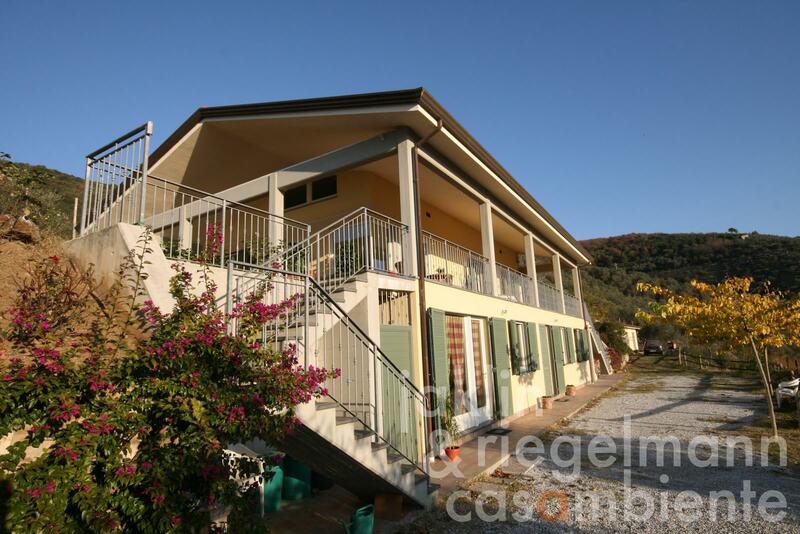 The entire property is fully-fenced with several access gates. 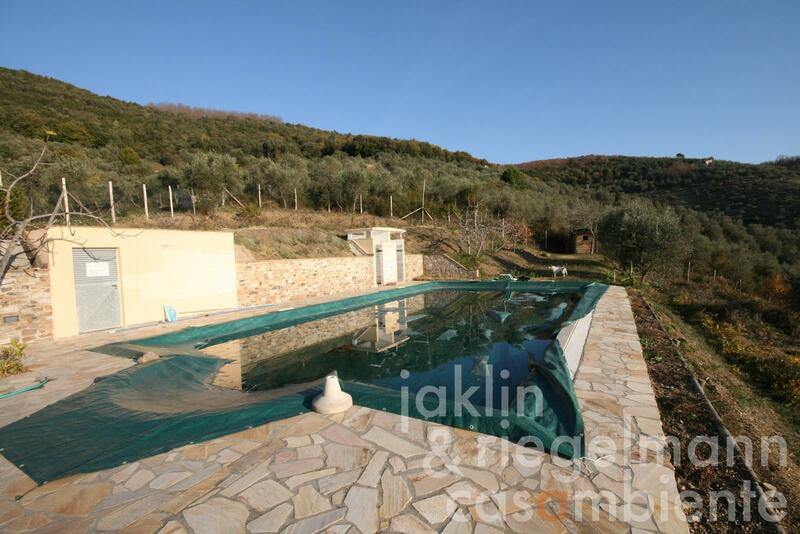 The pool (7 x 12 m) was built in the upper part of the garden with showers and bathroom. Orange-, lemon- and mandarin trees (approx. 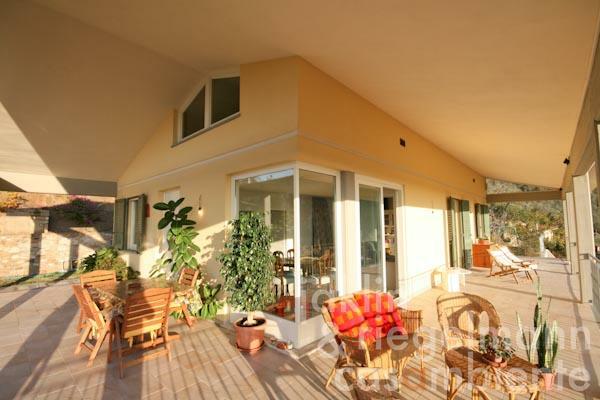 40 plants) are located in the garden below the villa. 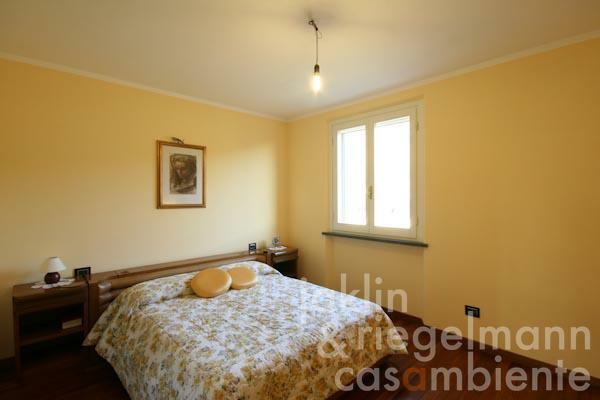 Italy, region Tuscany, province Lucca. 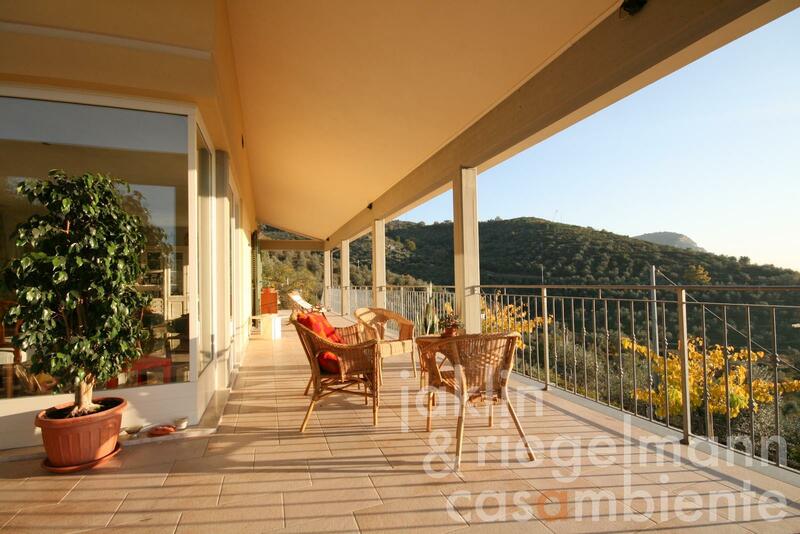 7,852 m² fully fenced garden. 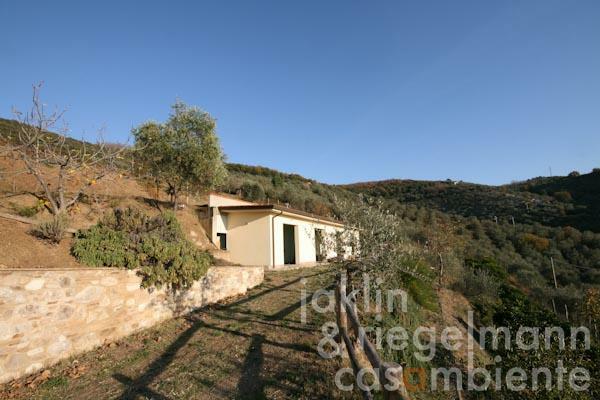 Electricity, photovoltaic modules, mains water, own well water, central heating, fireplace, air conditioning, gas tank, telephone, broadband internet access, satellite-TV, automatic gate, alarm system, irrigation system, swimming pool, garage, private parking, terrace, vineyard, garden.